In today’s low-yield environment, fixed-income returns are uninspiring. Many advisors are looking to diversify beyond traditional fixed-income asset classes, and senior loans are an attractive floating-rate option for some investors. Canadian corporate spreads have come down considerably since highs reached in February 2016 and are now sitting below 10-year averages. U.S. high-yield spreads have also come down during this time and are now below historic averages.1 In today’s low-yield world, investors are hungry for income and demand is outpacing supply – leading to a tightening of credit spreads. However, with mixed economic signals, weaker cash-flow fundamentals and political uncertainty across the globe, we may be entering a period in which we see spreads widening in the high-yield space. Generally speaking, widening credit spreads indicate growing market concern about the borrowers’ ability to service their debt. Narrowing credit spreads therefore indicate improving creditworthiness. With this as the backdrop, there is a strong case to be made for taking a more defensive stance with your high yield allocations by employing the potential benefit of senior loans. Senior loans provide an attractive yield per year of duration – the underlying yield for each year of duration risk taken on. Duration risk is the sensitivity of a bond’s price to a one percent change in interest rates – the higher a bond’s duration, the greater its sensitivity to interest rates changes. What these numbers illustrate is the attractive yields that senior loans have provided despite lower spreads. Comparing these numbers to those for higher-yield bonds, where spreads are wider and yields have been higher, senior loans still come out on top. For example, the BofA Merrill Lynch US High Yield Bond Index yields 5.54% on a duration of 3.68 years, resulting in a much lower 1.51% yield per year of duration.1 Not only do senior loans provide attractive yields, but they also help avoid the interest-rate risk that high-yield bonds can present. The reference rate for senior loans, 3-month LIBOR (London Interbank Offered Rate), continues to rise and currently sits at 1.21%.1 The U.S. Federal Reserve (Fed) raised rates June 14, 2017 for the fourth time since December 2015, with a final hike expected by the end of 2017. Historically, the Fed Funds rate and LIBOR have been highly correlated, so in my opinion, we expect LIBOR to track higher over the course of this year. As a result, the loan coupons on senior loans would then reset higher over the next few quarters. Defaults in the senior loans space continue to remain very low. 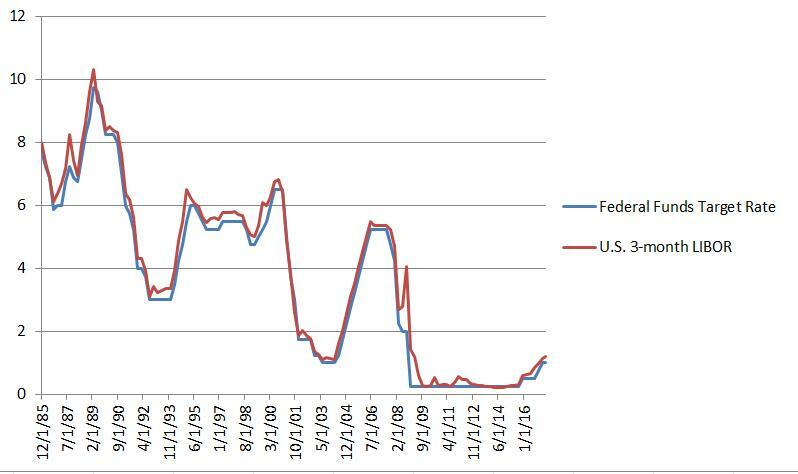 The default rate for S&P/LSTA U.S. Leveraged Loan Index fell to a 16-month low of 1.29% in May 2017. As a comparison, the U.S. speculative-grade corporate default rate was 3.6% in May 2017.6 This data highlights the improving credit quality and benign default rates that senior loans should benefit from over the remainder of the year. With tighter spreads and lacklustre returns in the fixed-income market, senior loans can provide an opportunity for investors to diversify their fixed-income portfolios. These floating-rate loans can provide attractive yield-per-duration, LIBOR upside and strong credit metrics, which means an investment in this space can give people strong income potential, along with a measure of defense against rising interest rates. This can be a very attractive combination in today’s uncertain markets. PowerShares Canada offers both hedged and unhedged exposure to the senior loans market with three TSX-listed ETFs. Can factor investing help overcome investor bias? Is your ETF trading data accurate? Can investors have strong monthly dividend income with less volatility? Q&A: What is factor investing? Are you meeting your income needs? Looking to avoid the pitfalls of market-cap indexing? Q&A: How are Canadian advisors using low volatility in portfolios? Q&A: Are all low-volatility strategies the same? 1 Source: Bloomberg L.P., as at May 31, 2017. A credit spread is the difference in yield between two bonds of similar maturity but different credit quality. If a 10-year Treasury note is trading at a 6% yield and a 10-year corporate bond is trading at a yield of 8%, the corporate bond offers a 2% spread over the Treasury. 2 Yield to maturity is the total return anticipated on a bond if the bond is held until the end of its lifetime. It is the internal rate of return of an investment in a bond if the investor holds the bond until maturity and if all payments are made as scheduled. Not that yield to maturity should not be construed as an amount an investor would receive from the Fund, and is subject to change. 3 Source: Invesco Canada, as at May 31, 2017. 4 Source: FTSE TMX Global Debt Capital Markets, as at May 31, 2017. 5 There may be other risks in investing in senior loans. Please read the prospectus for a complete description of relevant risks. 6 Source: S&P Global Market Intelligence.